Finely shred carrots on a grater. 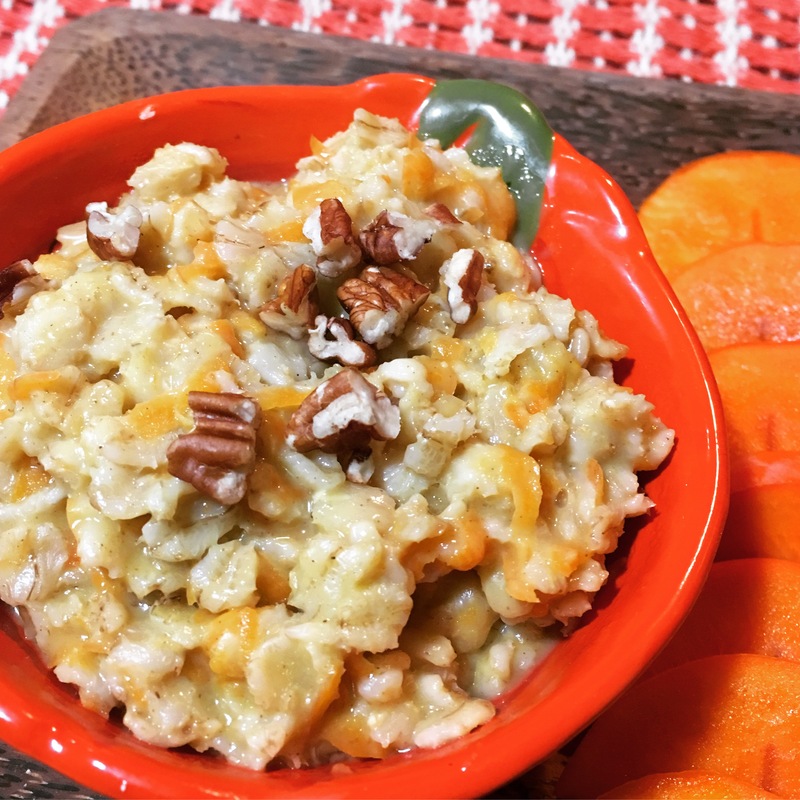 Place carrots, oats, and water into a small pan. Bring to a quick boil then simmer. Season with nutmeg, cinnamon, sea salt. Continue to simmer until water has been absorbed and oats are fully cooked. Add a scoop of sunflower seed butter and optional maple syrup and stir well. Serve warm topped with your favorite toppings.